When I visited Sonoma last year, I was taken with the thriving art scene. Galleries were all over, and local art was on display everywhere, providing an interesting counterpoint to the rugged nature of Sonoma overall. No winery reflects that unique aesthetic more than Imagery Winery. Founded by Joe Benziger, of the famed Benziger winemaking family, Imagery Winery has commissioned more than 500 pieces of artwork, which appear not only on wine labels, but also on display at the winery itself. When you visit Imagery, you’ll see at least 35 artists working on site at any given time. I think that is incredibly cool. The Benziger family also believes in 100% sustainable farming. That’s a popular term these days, especially in California, but Benziger truly believes in biodynamics, to the point where goats roam the vineyard “tilling” the soil with their hooves, taking care of weeds, and even contributing a little fertilization of their own. They farm without chemicals to the point where if an insect pest plagues the vines, entomologists in the family find that insect’s natural predator, which would then be introduced into the vineyard. And without chemical interference or excessive fertilization, the roots of Benziger vines grow deeper into the soil, reflecting more of the natural character, or terroir, of Sonoma’s rich soil. But perhaps the greatest thing about Benziger and Imagery wines is how affordable they are! 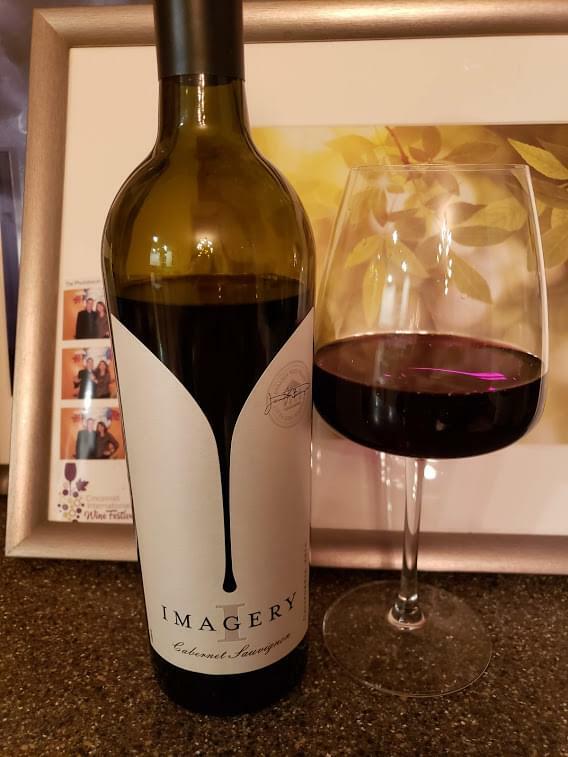 For example, this week’s featured wine, the award-winning 2017 Imagery Cabernet Sauvignon can be found in grocery stores for around $17 a bottle. For a quality California wine like this, that’s a price that is hard to beat. 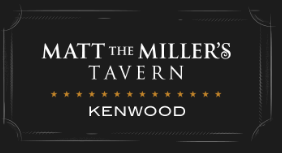 This wine is a crowd-pleaser featuring rich dark fruit, smooth blackberry and plum flavors, medium tannins, and a peppery finish of clove and spice. The French oak aging also gives it a toasty vanilla quality that is always pleasing with Cabernet Sauvignon. On my five-cork scale based on taste and value the 2017 Imagery Cabernet Sauvignon gets four corks. This is a solid wine from a respected wine-making family at a great price. It checks all the boxes for me.